Tristan decided he should stop wondering about her, at least while she was in the same room. 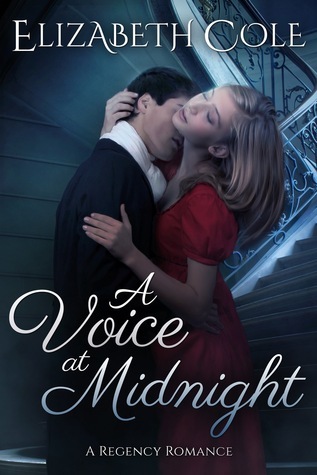 This entry was posted in Teaser Tuesdays and tagged A voice at Midnight, Cynthia Stacey, Elizabeth Cole, Teaser Tuesday. Bookmark the permalink. This is actually the first of her books I read, but I’m hooked now. I’m liking his train of thoughts. Nice teaser, Cynthia! ah yes, since Tristan and Isolde!! The book sounds great. I like seeing into the MC’s thoughts! If he’s studying her mouth that closely, he’s definitely smitten. This sounds like a book I’d enjoy. It sounds like a fun read just by the teasers. I’ll have to check this one out. Oh, my, we know where this is going…lol. Thanks for sharing…and for visiting my blog. I could feel the chemistry between them in your teaser 🙂 Makes me want to read more! Sounds like fun! Great teaser! Hehe…I see where this is going! 😀 Great teaser! Thanks for sharing & stopping by! oo not that is a great teaser. I suspect I know where things are going to be going.